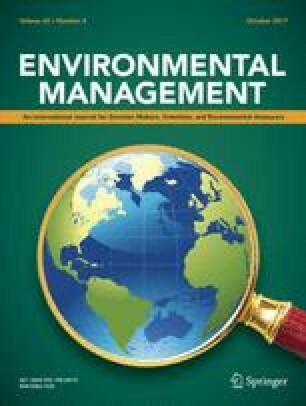 A carcinogenic risk assessment of polycyclic aromatic hydrocarbons in soils and sediments was conducted using the probabilistic approach from a national perspective. Published monitoring data of polycyclic aromatic hydrocarbons present in soils and sediments at different study points across India were collected and converted to their corresponding BaP equivalent concentrations. These BaP equivalent concentrations were used to evaluate comprehensive cancer risk for two different age groups. Monte Carlo simulation and sensitivity analysis were applied to quantify uncertainties of risk estimation. The analysis denotes 90% cancer risk value of 1.770E−5 for children and 3.156E−5 for adults at heavily polluted site soils. Overall carcinogenic risks of polycyclic aromatic hydrocarbons in soils of India were mostly in acceptance limits. However, the food ingestion exposure route for sediments leads them to a highly risked zone. The 90% risk values from sediments are 7.863E−05 for children and 3.999E−04 for adults. Sensitivity analysis reveals exposure duration and relative skin adherence factor for soil as the most influential parameter of the assessment, followed by BaP equivalent concentration of polycyclic aromatic hydrocarbons. For sediments, biota to sediment accumulation factor of fish in terms of BaP is most sensitive on the total outcome, followed by BaP equivalent and exposure duration. Individual exposure route analysis showed dermal contact for soils and food ingestion for sediments as the main exposure pathway. Some specific locations such as surrounding areas of Bhavnagar, Raniganj, Sunderban, Raipur, and Delhi demand potential strategies of carcinogenic risk management and reduction. The current study is probably the first attempt to provide information on the carcinogenic risk of polycyclic aromatic hydrocarbons in soil and sediments across India. The online version of this article (doi: 10.1007/s00267-017-0920-6) contains supplementary material, which is available to authorized users.